Scott covered the Masters and Tiger Wood’s victory and we had to talk about LSU basketball. And we taped the show before the exit of LSU athletic director Joe Alleva. First airing is April 19. 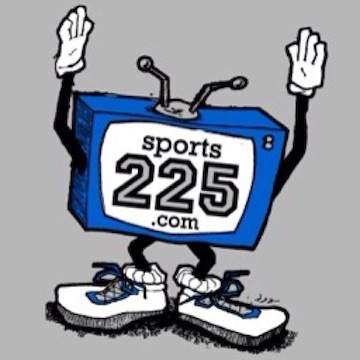 Watch Sports 225 each week on Cox 4 (Yur View) at 11 a.m. Saturday, 6 p.m. Sunday, 7:30 p.m. Monday, 6:30 p.m. Tuesday. Watch Sports 225 on CST (Cox Sports Television) at 7 a.m. Friday, 7:30 p.m. Friday, 6 a.m. Tuesday and 6:30 am. Tuesday. For all things volleyball, follow Lee’s work at VolleyballMag.com.